It's connected educator month. 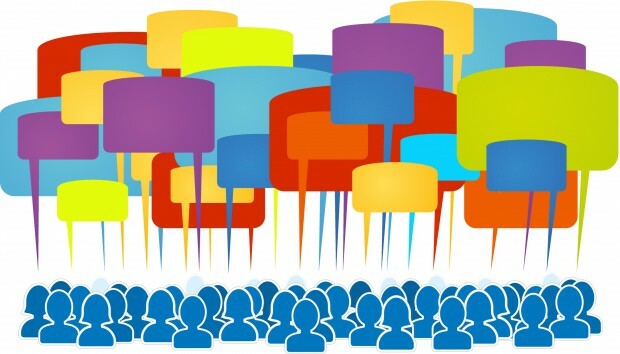 There's a flurry of activity among teachers and administrators looking to connect through Twitter and other social media to advance their learning, especially as a new school year looms. As schools gear up and prepare for a new school year with technology increasingly ubiquitous, now's the time to consider how schools can create a positive impact with technology. Professor Alec Couros captures the essential element for schools to keep in mind as they move forward with technology initiatives. In an interview with Howard Rheingold for Digital Media and Learning, he comments on the need to focus on "what will endure," the importance of connections and relationships to help foster, build and sustain the life of the "networked" teacher. Though schools possess tremendous resources in teachers, the challenge can be how to connect teachers with each other, to ward off isolation and leverage the power of the "room" and the collective intelligence. Stanford University's d.School has started offering a course called d.Compress - Designing Calm, to have students tackle and address the issue of digital balance and mindfulness. Soren Gordhamer, the founder and host of Wisdom 2.0 writes on the Huffington Post that the "real conversation" is "about how to connect to one another through technology -- and in person -- purposefully, in ways that are beneficial to our own well-being, effective for our work, and useful to the world." He advocates for intention and purpose to create social good: "[Technology] becomes a tool to break down barriers and create a better world. Of course, we all need balance to perform well, but the question is less about balance and more about impact." Eric Sheninger, the principal of New Milford High School in New Jersey, widely known in educator Twitter feeds, acknowledges the importance of maintaining face to face interaction. He comments on the Hechinger Report blog: "I value my face-to-face connections more than I do my virtual ones. Technology flattens our ability to connect with people. It just makes things easier. It's not the only way I connect with people." WHAT CAN SCHOOLS REASONABLY DO? David Weinberger, the author of Too Big To Know, explains the importance of creating "smart" rooms, with the notion that "the smartest person in the room is the room." Of course, for the genius of the room to surface, communication and interaction need to happen. In an interview with Rebecca Rosen of The Atlantic, Weinberger points to Scott Page, the author of The Difference, who emphasizes the layer of the "diversity of perspectives and skill sets" if "it [the group] is going to be smarter than the smartest person in it." Though schools possess tremendous resources in teachers, the challenge can often be how to connect teachers with each other, to ward off isolation and leverage the power of the "room" and the collective intelligence that resides in the room. Steve Jobs is said to have built Pixar in such a way as to have employees gather and bump into each other in a shared, open space as a way to instigate innovation. This idea of frequent interaction is critical. Even as technology gains deeper traction, schools need to ensure face-to-face interaction and the power of connections for teachers. These supportive networks, rooms and structures need to be firmly rooted to accompany successful technology integration. Be strategic with the "fast horse" technology adopters. These are the key drivers of technology integration and need to be spread across the school on different teams to maximize their expertise. Age and stage matter when building teams. Having a cross section of teachers at different career stages lends itself to rich and varied learning experiences for teachers. The master teacher paired with the tech savvy yet less experienced teacher can be a powerful partnership. Spend time at the start of the year to have teachers get to know each other, beyond their disciplines and subject matter. There are multiple stories to be shared and through these stories, opportunities for lasting connection arise. This is important to community building and sending the message that every teacher matters. Teaming is critical. Think broadly about teams, from carpool, lunch and recess duties to teacher evaluation, school committees, hiring, curriculum development, department and advisor teams. In each of these teaming structures, there is opportunity for learning, and this learning often falls outside of "formal" professional development. Careful organization of teachers creates the opportunity for the "bump" in learning. The post-recess duty conversation can quickly turn into the sharing of a new app or technology tool. The location of the mailbox and copy room matter. These are other incidental spaces where critical face-to-face interaction occurs. These spaces should be a bit out of the way to encourage surprising interactions between teachers whom might not otherwise see each other. A teacher might learn from another teacher how to PDF a document with the copy scanner from the copy machine, for example. Schools should be thoughtful and strategic about getting teachers together to learn with the strength and intelligence of "the room."